Another excellent vintage find, this small eating table sports a rare peacock blue and silver / gray color palette. 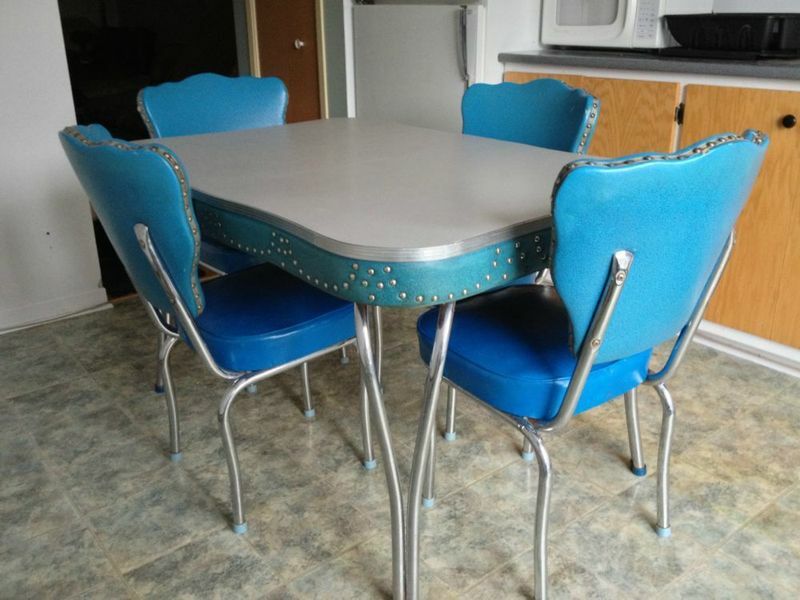 Four vinyl cushioned chairs line the formica topped table. Aluminum trim lines the table top and while aluminum poles serve as legs for the table and chairs. The ensemble is a true conversation piece in this otherwise nondescript room.